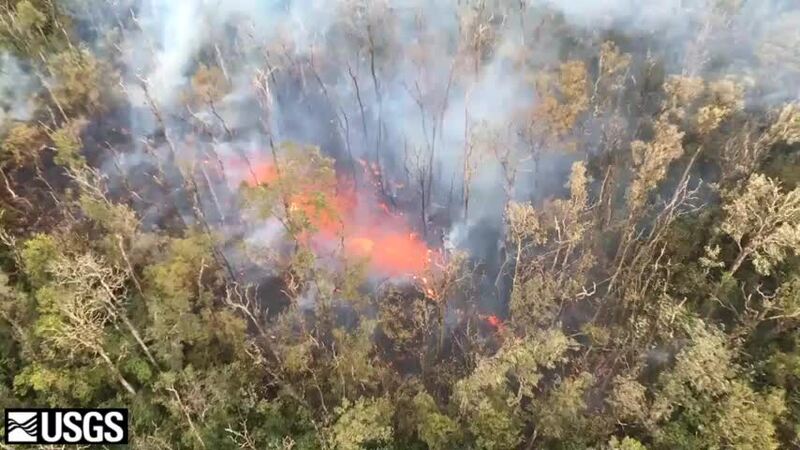 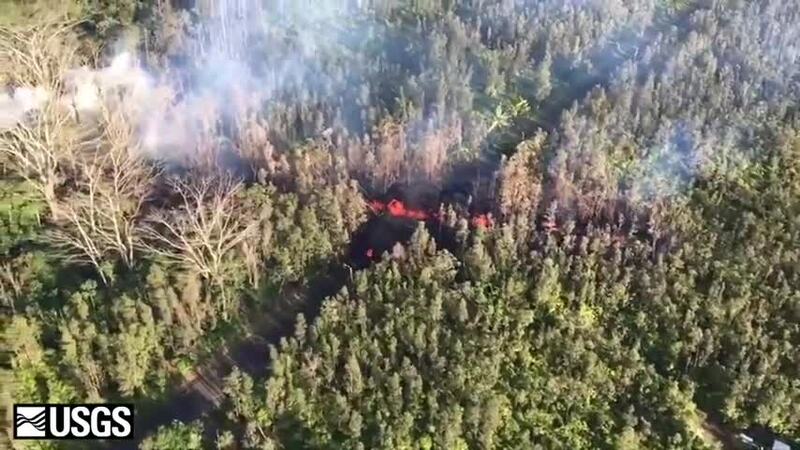 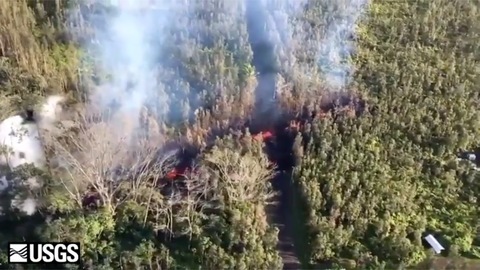 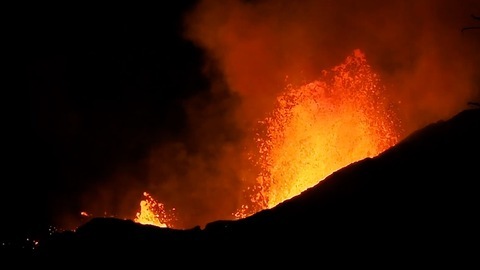 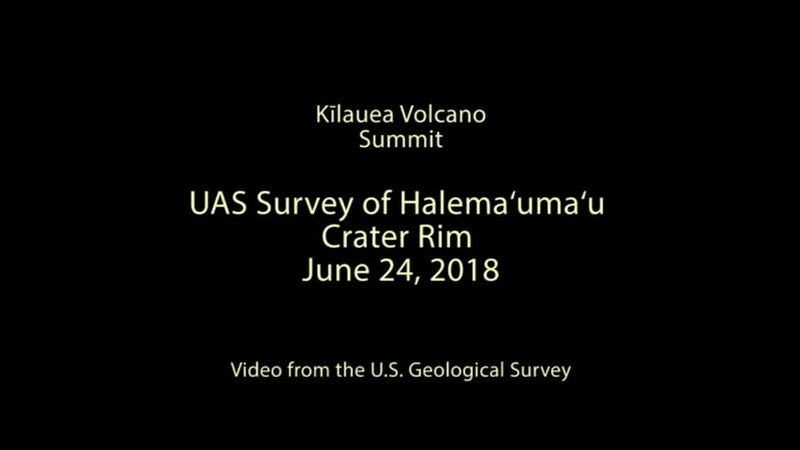 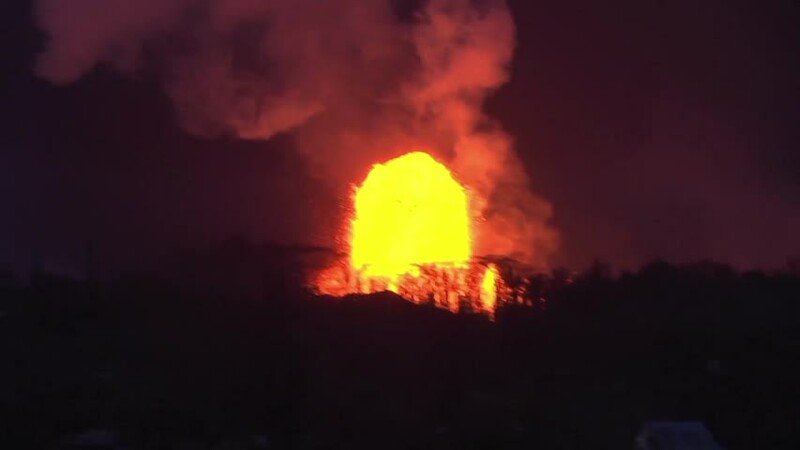 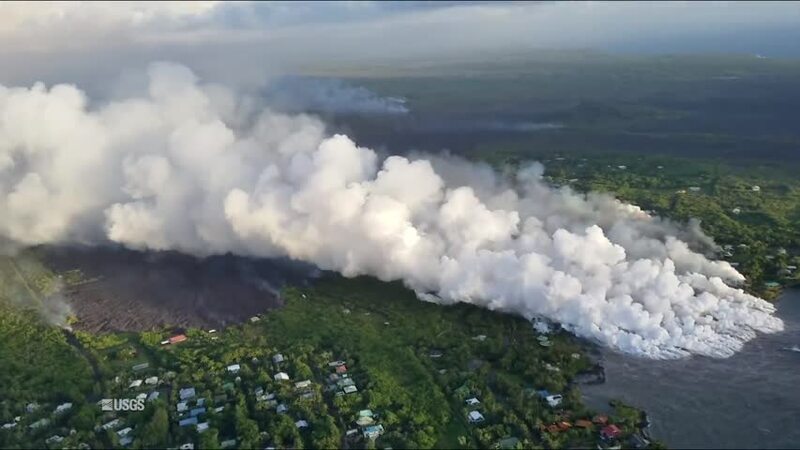 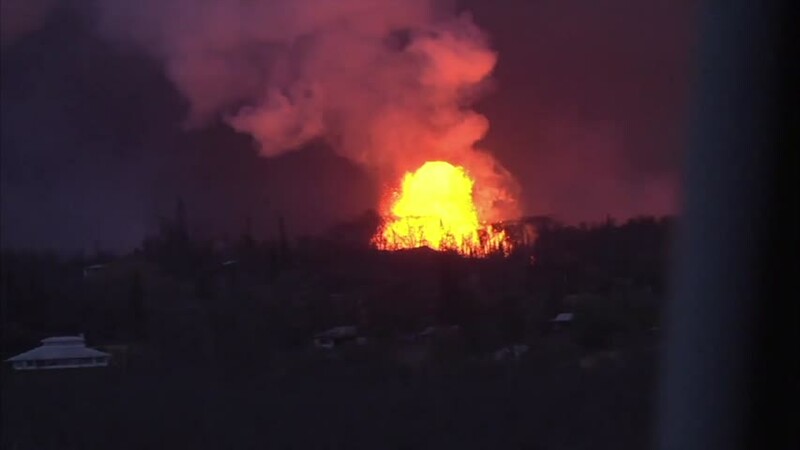 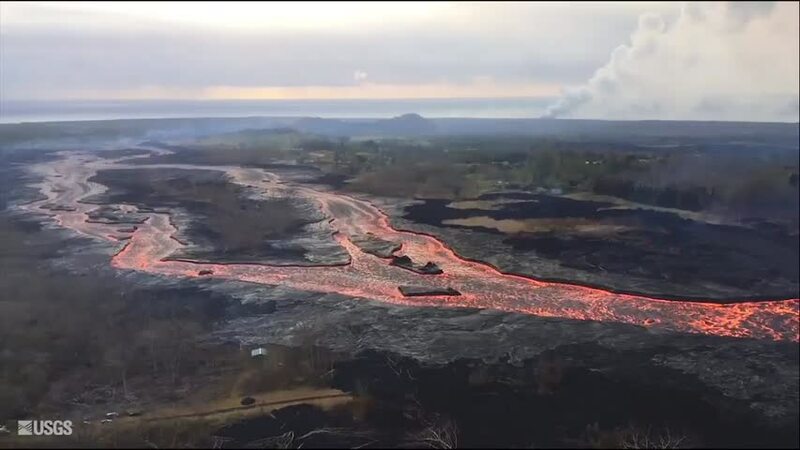 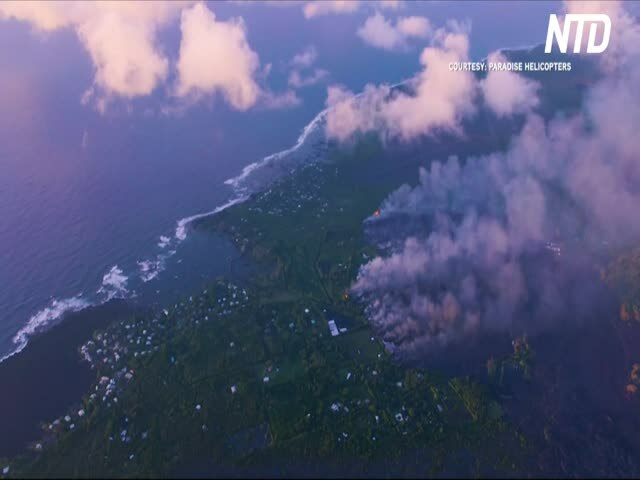 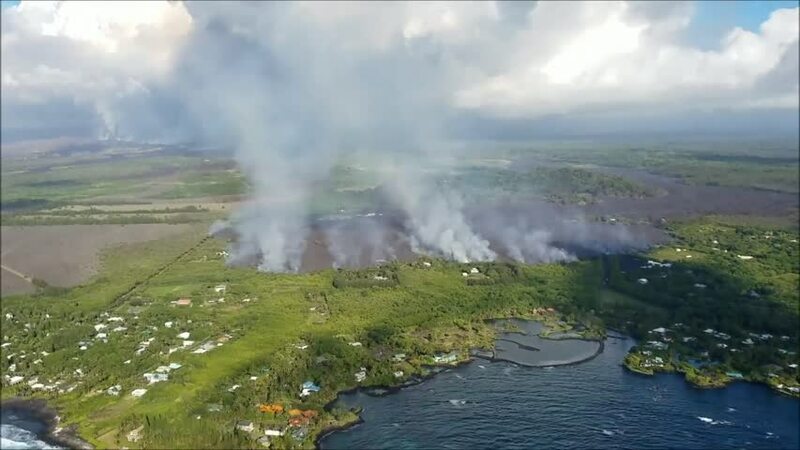 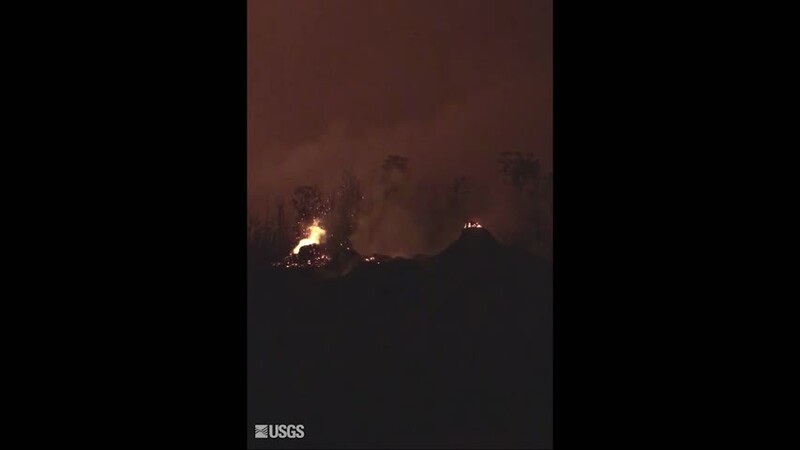 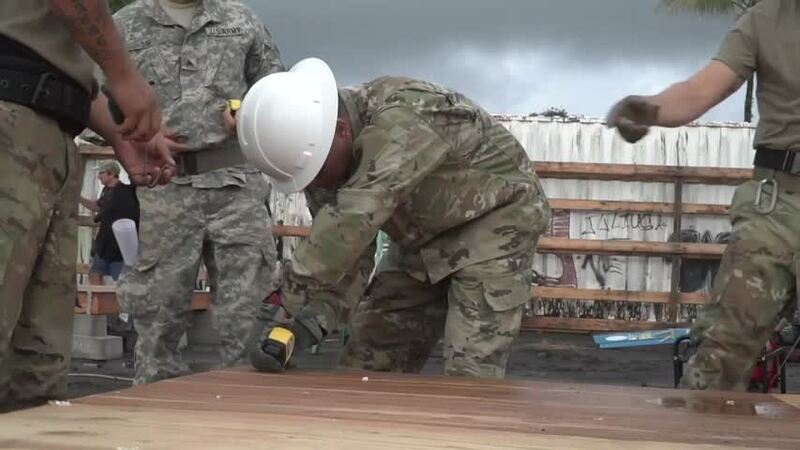 VIDEO SHOWS: AERIAL VIEW OF KILAUEA VOLCANO'S SUMMIT LAVA LAKE RESENDING WITH COMPLETE SCRIPT SHOWS: HAWAIIAN ISLANDS, UNITED STATES (APRIL 4, 2018) (U.S. GEOLOGICAL SURVEY - MUST COURTESY) 1. 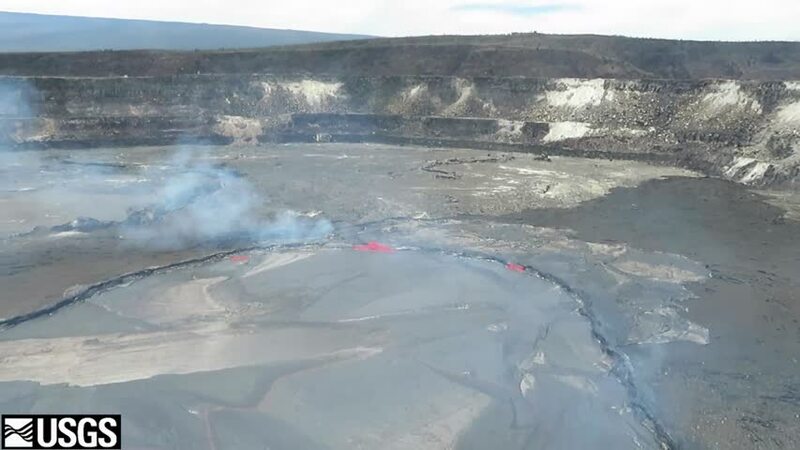 WIDE AERIAL OF KILAUEA VOLCANO'S SUMMIT LAVA LAKE 2. 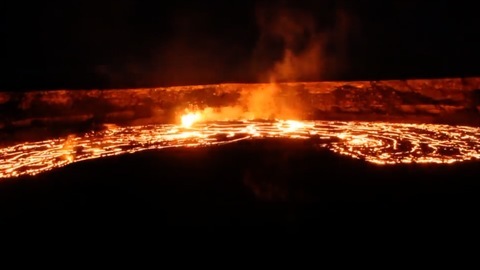 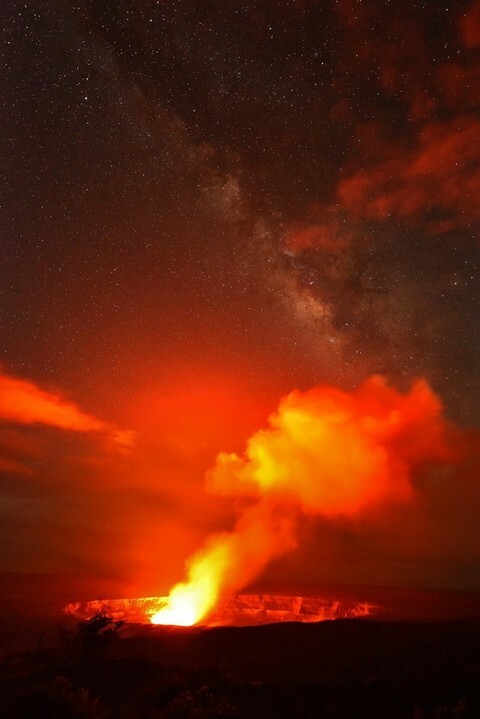 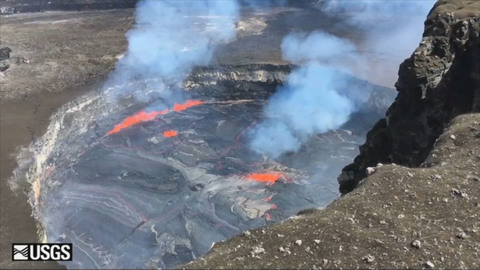 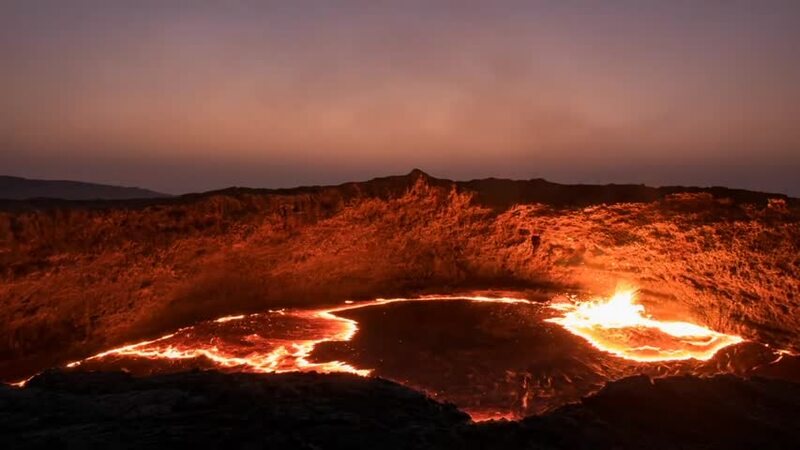 TIGHT AERIAL OF KILAUEA VOLCANO'S SUMMIT LAVA LAKE STORY: The U.S. Geological Survey released video showing a clear aerial view of Kilauea Volcano's summit lava lake on Wednesday (April 4), amid clear skies and sunshine on the Hawaiian Islands. 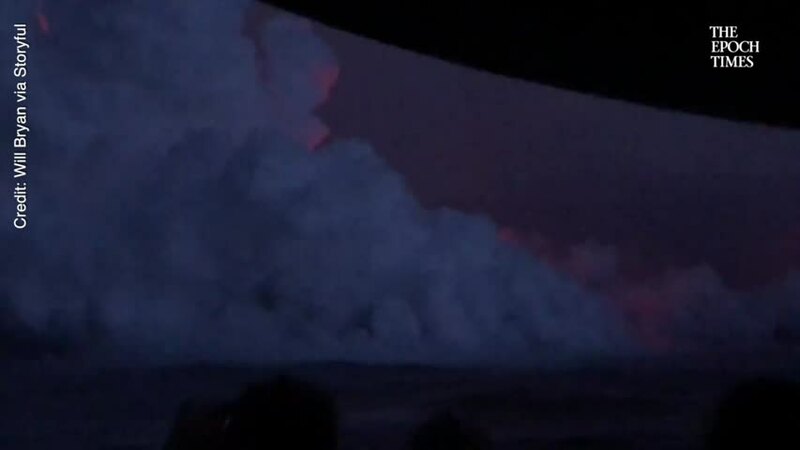 The video showed rare spattering on the north side and center of the lake's surface, which happens only occasionally when the surface flow direction reverses, its website said. 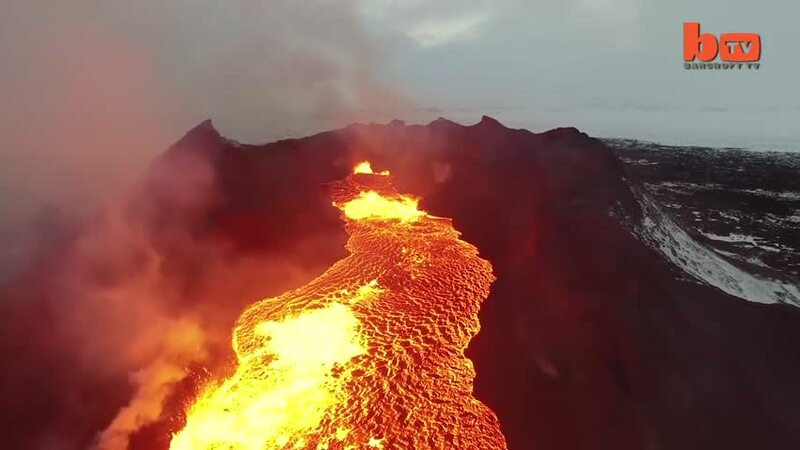 Spattering, which is triggered by gas bubbles bursting within the lake, typically occurs on the southeast side.